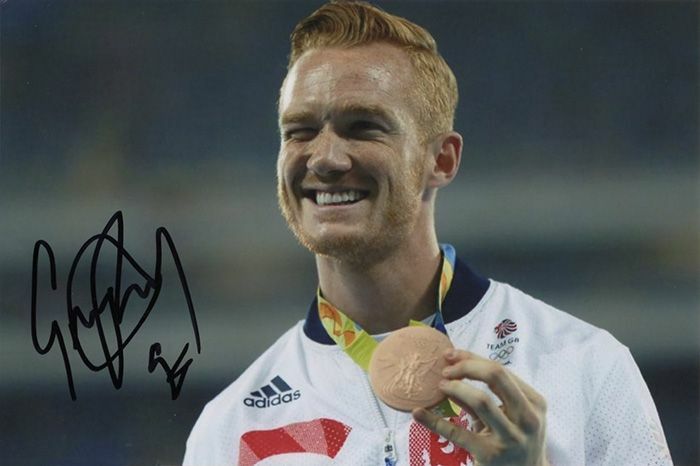 Greg Rutherford British long jumper signed 6x4 inch photo. 6x4 inch colour photo signed in person by British long jumper, Greg Rutherford. Rutherford won the long jump gold medal at the 2012 Summer Olympics, 2014 Commonwealth Games, 2014 and 2016 European Athletics Championships and 2015 World Athletics Championships, and topped the 2015 IAAF Diamond League rankings in the event.